The New Year brings a fresh start and the opportunity to set goals and intentions for the coming months. If you’re going to be buying or selling a home in 2018, now is the time to strategize. 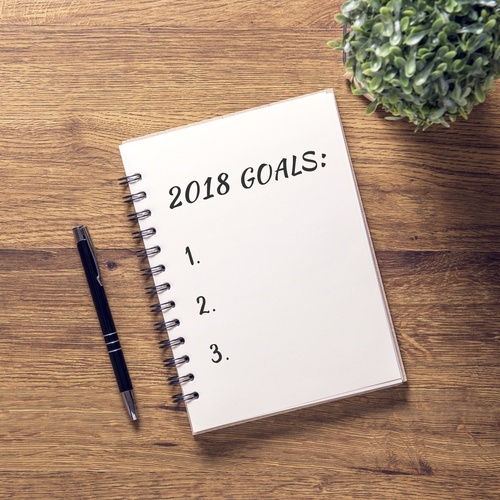 Here are some New Year’s resolutions that will help you to reach your goals of home buying or selling – or both! Clean and organize – One of the biggest turn-offs to potential homebuyers is walking into a home that is dirty and cluttered. It makes it nearly impossible to imagine what their life could look like in the home. Your first task when getting ready to sell is to get your home in order. Thoroughly clean and organize. Remove personal belongings and make needed repairs. Update paint and neutralize your decorations. Consider hiring a professional stager to maximize your existing space. Decide on a timeline – Will you be purchasing a new home at the same time you’re selling your current one? You will want to be intentional with your timing, especially if you’re in a competitive market. Trying to pay two mortgages can be tough. Is it possible to delay the purchase of new home while you wait for the sale of your current home to close? How quickly do you need to be in your new location? Interview real estate agents – Working with a professional makes the home selling process less stressful. Get recommendations from friends and family and schedule some interviews. Review your finances – Do you have enough money saved for a down payment? If not, how will you reach your goal? In addition, do you know how much you can afford to spend on a home? Take time to review your finances to make sure you have what you need to not only make the purchase but also to sustain the monthly payments. Check your credit – Have you checked your credit report? If not, you should do that right away. Many credit reports contain errors and you will need time to have those mistakes removed. Checking your credit score will also give you an indication of what type of interest rates you’ll likely qualify for on your mortgage. Get pre-approved – Speaking of mortgages, you should plan to shop around and get preapproved before you begin your home search. Getting preapproved signals to a seller that you are serious about the purchase. It will also show you how much you can afford to pay for your new home so that you can target your search. If buying or selling a home is a goal for you next year, please don’t hesitate to contact us. Whatever your plans are for 2018, we hope you have a very happy and prosperous New Year!